• الموضوع : Dr Mohamad Ali El-Husseini receives a message from the United Nations Educational, Scientific and Cultural Organization (UNESCO) and thanks him for his efforts in the field of interreligious and intercultural dialogue . The Secretary-General of the Islamic-Arab Council in Lebanon, Dr. Mohamad Ali El-Husseini received a message from the United Nations Educational, Scientific and Cultural Organization (UNESCO). The organization thanked Dr Mohamad Ali El Husseini for his letter to the Director-General, which transmitted to him the documents relating to his projects in the field of interreligious and intercultural dialogue. 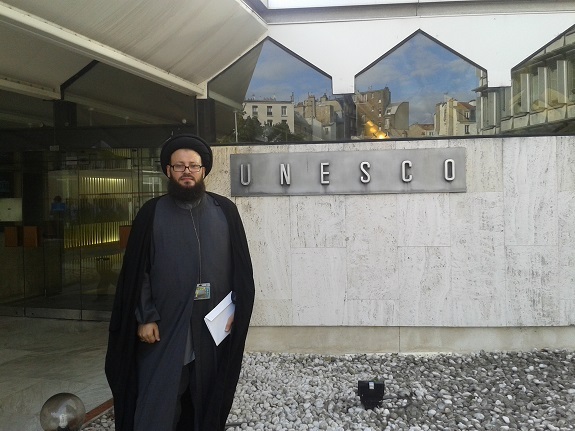 The organization emphasized that UNESCO's Interfaith Dialogue Program, an essential component of intercultural dialogue, has as its main objective the promotion of dialogue between the dinerent religions, spiritual and humanist traditions in a world where conflicts associated with religious affiliations take a place more and more important. 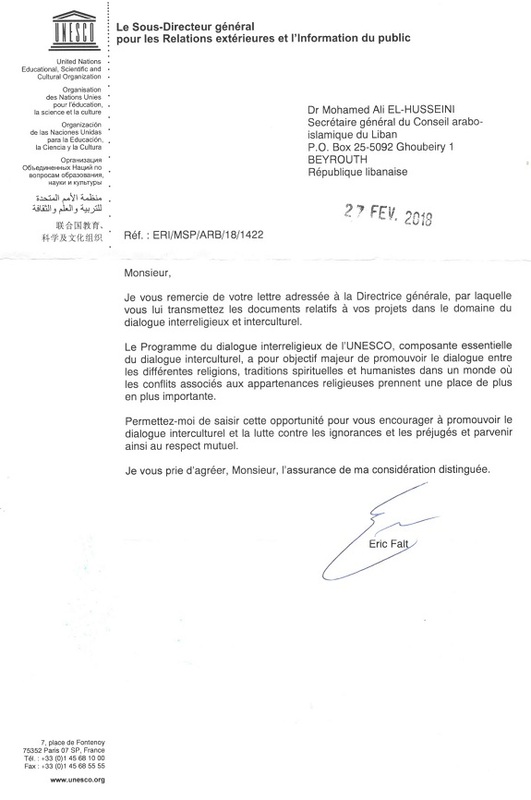 At the end of the letter, UNESCO spokesman Eric Falt encouraged Dr. Mohamad Ali El-Husseini to promote interculturality and the fight against ignorance and prejudice and thereby achieve mutual respect.